Home » KHE_DVDs' booth » "SIMPLE KRAV MAGA 10 DVD Set", everything needed for Easy to Learn Self Defense. 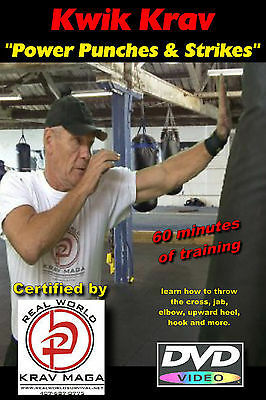 "SIMPLE KRAV MAGA 10 DVD Set", everything needed for Easy to Learn Self Defense. $59.98 This item is selling for $59.98 on eBay. Top-Rated SellerKHE_DVDs consistently earns high ratings from buyers thanks to fast shipping and excellent service. Self Defense for those without time to train.